GoTenna, a Brooklyn-based hardware startup, has a innovative mobile app-based approach to stay in touch at a lower cost even when cell service is poor or no satellite connection is available. 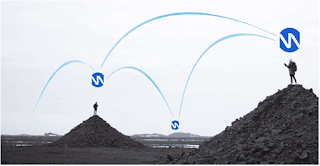 GoTenna creates distributed comm­un­i­ca­tion networks that increase scale, resiliency, and access. GoTenna builds next-generation wireless network to power bottom-up communications networks that get stronger as they grow. Their parallel networks are designed to both enable completely off-grid communication and augment traditional systems by extending the practical edge of connectivity. Get 20% Off Your Entire Purchase and Free Shipping at Gotenna! Use our exclusive GoTenna Coupon at checkout. Continue reading our review on GoTenna Mesh, GoTenna Plus GoTenna Pro, and GoTenna SDK to learn more about these products, their benefits, specifications and real life applications. The GoTenna Mesh can send and receive messages over an impressive range anywhere from a quarter-mile in cities or dense forests, all the way up to four miles in open plains, deserts or other unobstructed areas. It is as simple as pairing GoTenna mesh to your phone and creating your own signal. GoTenna Mesh is the first 100% off-grid, mobile, long-range, consumer-ready mesh network. It lets you send texts and GPS locations, no service required. Its a evolutionary mesh networking privately and automatically relays messages through other devices to extend beyond point-to-point range; the bigger your network, the stronger your communications. GoTenna Mesh works absolutely anywhere on earth, provided there is at least one other GoTenna Mesh device in range. Whether you are traveling overseas, spending time outdoors, at a crowded event, or preparing for an emergency, GoTenna Mesh provides incredible utility in any situation where cell service or wifi is not available by empowering you to create essential connectivity during any adventure. Gotenna mesh is one of the lightest, smallest, and affordable mesh networking device. What do you get when you buy Gotenna Mesh? Gotenna comes with 2 GoTenna devices, 2 micro-USB charging cables, and Free Waterproof Bag with every family or 8-pack. You will also receive 1-year limited warranty and an access to GoTenna Plus as part of your purchase. GoTenna offers free ground shipping to US & Canada. 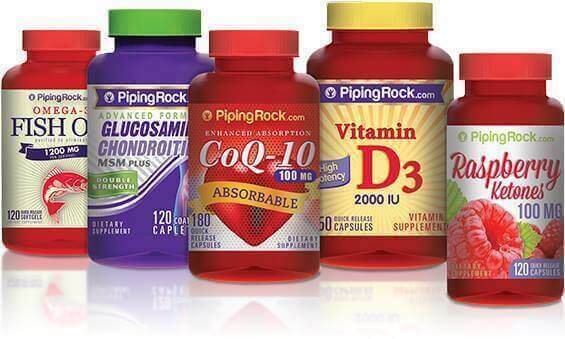 Their 30-day returns policy helps you try their product and hence makes it a risk-free purchase. GoTenna Mesh comes with a mesh networking technology which allows you creating your own network by relaying messages privately and automatically through other devices extending beyond point-to-point range. It offers private messaging, through which you can send text messages as easily your favorite texting app such as Whatsapp or facebook messenger, without having to to rely on cell towers, routers or satellites. You can chat privately 1-to-1 or in groups of up to 10, or send a public broadcast to reach your friends within range. With the delivery confirmation receipts for every message, you are sure that your messages are making it to the other end. GoTenna mesh also provides GPS location mapping. You can download detailed offline maps of any location in the world for free. It allows you to save and share pins to help you find yourself and others without much effort. With its Stationary Relay Mode, you can drop unpaired units in strategic locations to relay messages for yourself and others, thus extending the coverage of your mesh network. The connection established between you and your friends is equipped with secure encryption. Since there are no towers, routers, or central data-store, what you communicate with you and your network is completely private and secured. As an added security feature, GoTenna mesh makes sure that your private chats are end-to-end encrypted. GoTenna Mesh works absolutely anywhere on earth, provided there is at least one other GoTenna Mesh device in range. Whether you are traveling overseas, spending time outdoors, at a crowded event, or preparing for an emergency, GoTenna Mesh provides incredible utility in any situation where cell service or wifi is not available by empowering you to create essential connectivity during any adventure. You can chat with any other GoTenna Mesh user within range. The reason you can't chat with people who don't have GoTenna Mesh is due to the physics of radio waves. You need a properly designed RF receiver to interpret a GoTenna Mesh signal. It will not send signals to devices that aren't GoTenna-enabled, since phones are designed to work with towers and wifi — exactly what GoTenna is working around — and regular radios aren't able to operate at the level of super-smart networking protocols offered by GoTenna. Also, GoTenna Mesh devices does not be interoperable with regular GoTenna devices because they operate on different frequencies. With that said, the GoTenna Plus app upgrade enables an SMS network relay feature, so you can reach people beyond your off-grid network. If a GoTenna Mesh user nearby has cell service, they can transmit your message via SMS to your intended recipient. A powered goTenna Mesh device can receive and relay messages and location data. goTenna Mesh does NOT need to be actively paired to a smartphone to serve as a relay node, but it does have to be powered on. This enables users to use goTenna Mesh devices as stationary relay points in strategic locations to increase range. As an example, image two users have four goTenna Mesh devices. Two of those devices can be used solely as relay nodes, increasing potential reach of the mesh network: User A — User B, User A — Relay Unit 1 — Relay Unit 2 — User B. Because goTenna Mesh has a standard micro-USB port, you can leave the device paired to a power source if you plan to use it as a relay node for an extended period of time. Point-to-point range depends on your environment, and no situation is exactly the same. That being said, more open terrain often allows for greater range; line-of-sight can also help but is not required. Plus: you may be able to extend your range through other goTenna Mesh devices by relaying. For best performance, you should try to attach goTenna Mesh externally to gear and elevate it as much as possible. For instance, attaching goTenna Mesh externally to your backpack is better than placing it anywhere inside your backpack. Also note that goTenna Mesh is not designed to be used when directly in contact with your body. The reason being that the human body can interfere with radio transmissions, including goTenna Mesh’s signal. Holding goTenna Mesh in your hand or putting in the chest pocket of a thin item of clothing could noticeably decrease your range. That said, if you want to hold it up for more height, hold it from the strap, avoiding touching the metal and plastic casing. If you put it in your pocket, try to pick a thick clothing material so the device doesn’t make contact with your skin. In general, you can expect up to 4 mi (6.4 km) point-to-point range in open environments such as plains, desert, beach-side, etc. Expect up to 0.5 mi (0.8 km) point-to-point range in congested areas such as cities, mountains, ravines, thick forests, etc. Don’t be surprised if you get a lot less or a lot more than this — it’s quite common to get only a few blocks in very dense urban areas and the current ground-to-peak point-to-point range record for goTenna Mesh is 10 miles. (A skydiver set the open-air range point-to-point record: 26 miles! ), Shop for GoTenna Mesh today and use our GoTenna Mesh coupon to save 20% off your order. Private 1-to-1 and group messages sent over goTenna Mesh are end-to-end encrypted with 384-bit elliptic curve public-private key ciphering. The only exceptions are messages sent using the “shout” and “emergency” features which are by definition public conversations with others within range of you. GoTenna is very secured. Beyond the end-to-end encryption, because there is no central server there is no proverbial back-door. GoTenna mesh device does not share your usage information with GoTenna company, though you can opt-in to share completely anonymized telemetry when you have a data connection, so that GoTenna can improve their service. Again, this is limited to basic data regarding battery life, device temperature, and so forth. No messages or contact list info are included. GoTenna Plus is an annual subscription service designed for those looking to get a little more out of their GoTenna experience. It is the perfect way to get more detailed information about your surroundings and stay in better sync with your group while on your next off-grid adventure. GoTenna Plus subscription starts at an introductory price of $9.99/year (normally $29/year). If you are unsure about this service, then you can also sign up for free 30-day trial included in the latest version of the GoTenna app. This way you get to try it before you actually buy it. Once you become a GoTenna Plus subscriber, you'll get access to (1) Topographic Maps, which provides a rich and detailed view of the terrain around you. This comes really handy for outdoor adventures. (2) Location Tethering, which allows you to automatically send your location to a trusted contact every one, five, or ten minutes. (3) SMS Network Relay. If a GoTenna user within your mesh network has cell service, they can transmit your message via SMS to your intended recipient. (4) Trip Statistics, which allows you to track & save your trip data such as speed, distance, and elevation gained. (5) Group Delivery Confirmation, which lets you know who has or hasn’t received your messages (in group chats of up to 6). GoTenna offers a 30-day trial for the GoTenna Plus subscription. You can sign up for GoTenna Plus trial if you want to try out the exclusive features in GoTenna plus and enhance your experience of off-grid adventuring. 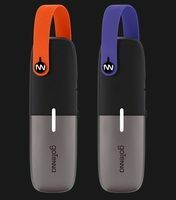 GoTenna does not be automatically charge after your trial is over, so its worth a try right? GoTenna Pro is one of the smallest, lightest, most affordable tactical mesh networking radio in the market and it works with any smartphone. GoTenna Pro helps teams achieve full situational awareness by combining long-range burst data transmitted over VHF/UHF with smartphones’ simple user interface (iOS & Android). Created with enterprise, public safety & defense users in mind, GoTenna Pro powers reliable and resilient communications via a high-performance ruggedized radio and advanced ad-hoc mesh-networking protocols. With single-hop range often measured in miles, GoTenna Pro further redefines off-grid communications via multi-hop mesh networking protocols. Self-healing, self-defined, and with no setup required, GoTenna Aspen Grove Pro mobile ad-hoc networking (MANET) protocol ensures reliable and resilient communications in even the toughest environments. Every GoTenna Pro unit functions as a cognitive multi-hop mesh node for all other Pro units — even if unpaired to a smartphone — and all relayed data is done so privately and automatically. Meshing eliminates or reduces the need for base stations and repeaters, as every GoTenna Pro provides that same functionality. GoTenna Pro’s functional capabilities come together to provide the two most important parts of mission-critical operations: situational awareness (SA) and tactical command & control (C2). It is 12x lighter and 10x smaller than legacy comms systems. GoTenna pro comes with Gotenna Mesh, which allows you to relay signals through other devices to expand network range. Within the mesh the GoTenna Pro units will function as relays even when not paired to smartphones. Using SMA Connector, you can integrate your GoTenna Pro with any off-the-shelf antennas or systems including aircraft, fixed radio towers or vehicles. It offers a strong 5 Watts RF transmissions which ensures strong performance even in the toughest obstructed surroundings. It offers a flexible band of frequencies in the 142-175 MHz (VHF) & 445-480 MHz (UHF) ranges. GoTenna Pro also has extended Battery Life of 60+ hours, which allows 1,200-12,000 messages per charge, and can be fully charged within 4-6 hours. It uses regular micro-usb Charging adapter, hence you don't need any custom charging dock, adapter or special cable. Featured with Ip68 & Milspec, GoTenna Pro is fully submersible and ruggedized for heavy outdoor handling. It is also certified for use in explosive atmospheres without ignition risk. 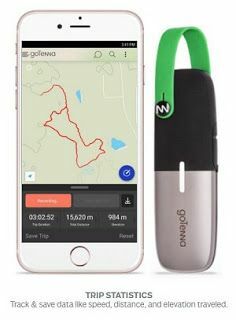 GoTenna Pro provides Live Interactive Mapping, which uses richly-detailed off-grid topographic, street and satellite maps to provide you visual situational awareness, plus you can automatically track the precise GPS location of all your team members. You can communicate with your team via text using private 1-to-1 or group or public broadcast transmissions encrypted with 384-bit ECC end-to-end PKI encryption. With Point Marking, you can share custom points with your team to communicate dangers, rallying points, medical evacuations, etc., on offline maps downloaded for free. GoTenna Pro is equipped with an emergency beacon which is automatic triggered in emergency situations. Furthermore, you can create custom perimeter, routes, polygons and lines on-the-fly and share them with your team. GoTenna Pro works with a smartphone app designed to be similar to consumer texting and mapping apps, meaning no special training is required to operate. In addition, GoTenna Pro hardware can be integrated with your own apps using GoTenna SDK, an open software platform. This pro software SDK empowers you to build any other application you need for your particular mission, just like the GliderLink app. GoTenna Pro offers an outstanding energy efficiency with 60+ hours of battery life off a single 3.5Wh battery, fully charged in less than 6 hours, This is just a fraction of the power consumed by legacy comms systems. GoTenna Pro pricing starts at $499 per unit with no recurring fees and costs 20-40x less than legacy communications systems. Where else can you take your GoTenna Pro? Take To The Skies: You can deploy small and lightweight GoTenna Pro units in advantaged positions to extend range and ensure communications in obstructed environments. Tactical Breadcrumbing: Rapidly deploy affordable and portable GoTenna Pro units in RF-denied environments like tunnels, dense buildings, and forests to create “pop-up” mesh networks. Operators can have multiple units, and drop them on-the-go in strategic locations to ensure a reliable link no matter what. A Communication Force Multiplier: You can augment the power and reach of a GoTenna Pro mesh network with satellites, LTE, wifi or any other legacy systems to reliably and practically push out the edge of your tactical network. GoTenna SDK is a wireless platform for long-range, off-network mobile mesh networking. You can develop a custom application using GoTenna SDK and expand your application's capabilities. The GoTenna SDK kit provides the tools for building Android or iOS apps using goTenna Mesh or goTenna devices. GoTenna also has their own app, which focuses on text messaging and GPS location sharing. However, you can use this platform to explore unique applications that leverage goTenna to transmit bursts of secure data at long range, completely off-grid. GoTenna SDK features Aspen Grove mesh protocol, which can privately and automatically route data packets through all other goTenna Mesh nodes. GoTenna SDK is comprised of completely free-form agnostic data with two simple rules: (1) 236-byte maximum payload size and (2) Five total transmissions allowed per end-user per minute. It allows hosts to open broadcast, 1:1 encrypted, and group encrypted messaging. You can also relay messages between goTenna Mesh nodes. GoTenna SDK can manage Bluetooth-LE data interface for iOS & Android. It provides reports on receipt failure for 1-to-1 messaging, goTenna battery life, firmware version, alerts and diagnostic data. The software upgrades can be managed through SDK as well. You can check out goTenna users worldwide on the Mesh Network map at imeshyou.com or meshcommunity.gotenna.com and find out how other experts are creatively using GoTenna SDK to develop their unique applications. GoTenna has an impressive range anywhere from a quarter-mile in cities or dense forests, all the way up to four miles in open plains, deserts or other unobstructed areas. Sometimes though, you will hear of a range report that may even surprise you. GliderLink app is definitely one of those times. GliderLink recently achieved a record-breaking single-hop transmission between two unmodified goTenna Mesh units. The transmission was originated from a user at the Hollister Airport in California and was received by a user some 3,205 ft above the town of Tracy, at an astonishing 61 miles of distance between them. Hirashima used the GoTenna SDK to make GliderLink as an app for glider pilots and other members of the gliders community. Gliders are engineless aircrafts that use currents of wind instead of jet fuel engines to fly. If wind conditions are favorable, then gliders can remain in the air for several hours. Finding the most favorable gliding conditions can often be difficult. Ben Hirashima wanted to solve with his challenge using his GliderLink app. With fewer RF-absorbing obstacles to interfere with signal, goTenna Mesh worked even better in the sky than it does on land. An android version of GliderLink app was released on Google Play store in April 2018. The iOS version of the app is currently in roadmap. Ready to buy GoTenna products? Get an exclusive offer from us today. where is the 30% off? Thank you for checking with us. We have updated our post with 20% Off GoTenna coupon. Please check again.